Can I connect my MP3 player/iPod to my B&O? 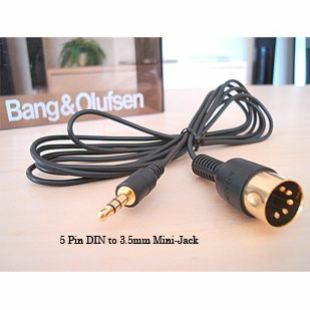 The majority of Bang & Olufsen systems have circular ‘DIN’ connections on the rear/connection side of the unit. 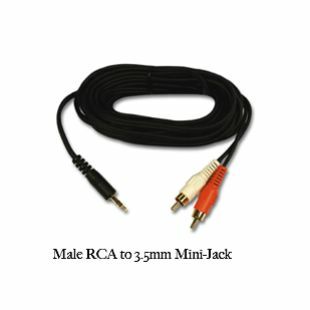 You can use a ‘Mini-Jack’ (the kind of plug you find on the end of iPod headphones) to a ‘DIN’ cable (see image) and can buy them here from LifeStyle AV. As an alternative, on older iPods, you can bypass the volume control of the iPod - a Russ Andrews GQ-24 lead can do this. On newer iPods, iPhones and iPads, this makes no difference to the sound quality produced. 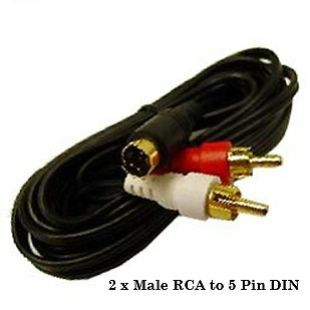 For some Bang & Olufsen systems, such as the BeoSound 4 or BeoCentre 2, you just need a ‘Male RCA’ to ‘DIN’ connection, as these two models use direct ‘RCA’ connections. Some older Beomasters (eg. 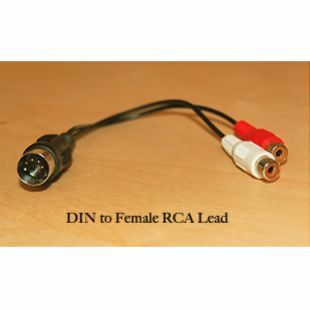 Beomaster 8000) have a combination of RCA and DIN inputs, so either type of cable can be used, depending on which sockets are free on your system. iPod cables with 5 pin DIN plugs will fit and work perfectly in both 5 pin and 7 pin DIN sockets. Newer B&O products since the late 1980's changed to 7 pin sockets, with the extra two pins only being used for data when another B&O device is connected. Hence, these extra pins are spare when a non-B&O device such as an iPod is connected. You can obtain these cables (and any advice you may need) from LifeStyle AV or Sounds Heavenly Cables, who sponsor the BeoWorld Forums.